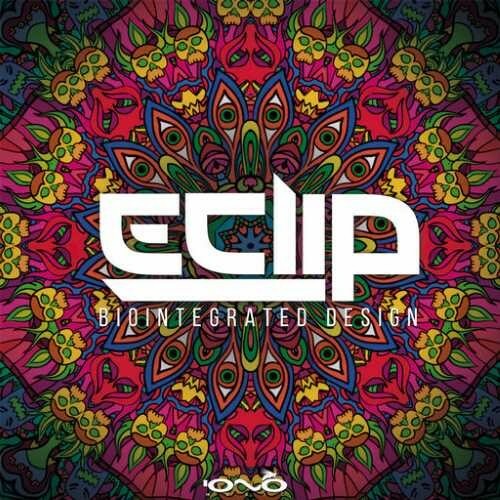 Following the expansion of Iono Music into a new psychedelic trance genres, E-Clip compile for us his new, long-awaited third album, Biointegrated Design. Musical masterpiece that goes through the entire world of psytrance in tempo from 128 to 145 bpm confirming his professional ability as a producer to adapt to the new standards but also to remain faithful to the distinctive impenetrable E-Clip sound. Biointegrated Design is the idea of an energy sustainable urban habitat in the form of the city. Biological concept that should be confronted with the current social and political problems which we have today in the world, overpopulation, sustainable energy, symbiosis of life of animals and humans. Marko is very capable in conveying this idea into a musical perspective and his inspiration is also well transferred into the dancefloor tool which this album offers. Great collaboration with Zen Mechanics, Avalon, Micki Noise, Subliminal Code rounded this release as a synergy between giants of the scene led by E-Clip, leaving to us a great compilation of highly-quality Psytrance.